Fridays 6:48 p.m., Sundays at 11:00 a.m.
"Campaign Beat," MTPR's weekly political analysis program is hosted by MTPR's Sally Mauk with UM Political Science Professor Rob Saldin and former Capitol Reporter Chuck Johnson. It airs Fridays between 6:30 and 7 p.m., with an encore broadcast Sundays 11 a.m.
On this episode of "Campaign Beat," Sally Mauk, Chuck Johnson, and Rob Saldin talk about this week’s campaign finance ruling, the fuss over the Gianfortes' big donation to MSU, and the race for Montana’s seat in the House of Representatives. Bernie Sanders visits Montana, Rep. Zinke endorses Trump, and Montana Democrats smell blood over a 2009 lawsuit Greg Gianforte filed over a public access easement near his property in Bozeman. Sally Mauk, Chuck Johnson, and Rob Saldin take you behind the curtain of Montana politics. The release of the Gov. 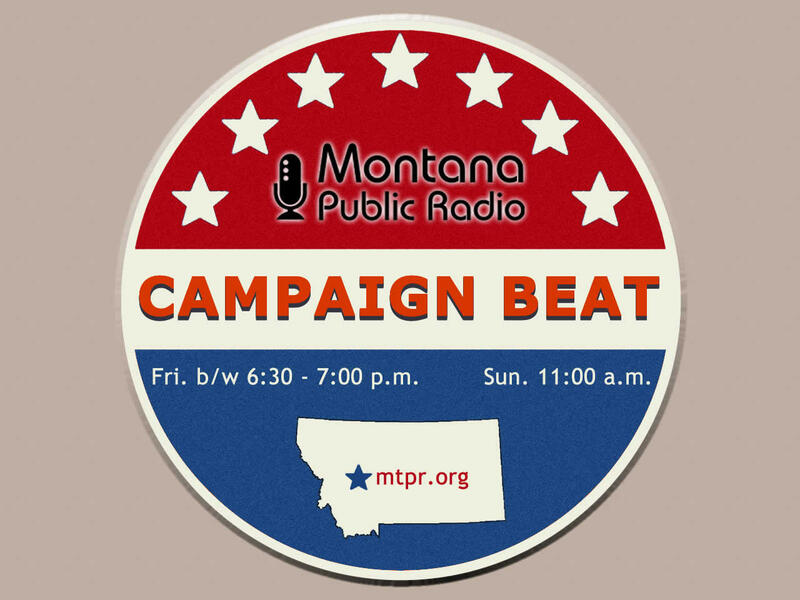 Bullock's personal emails; Greg Gianforte's campaign donations to himself; Trump's impact on downticket races; the possible spoiler role of Libertarian candidate Ted Dunlap; and Montanans feeling the Bern, on this episode of "Campaign Beat." Infrastructure, Attack Ads, And Conrad Burns' Legacy, on this episode of "Campaign Beat"
On this episode of "Campaign Beat": Conrad Burns' legacy; analysis of the latest attack ads in the gubernatorial race; and Gov. Bullock's new (yet old) infrastructure funding plan. Sally Mauk, Chuck Johnson and Rob Saldin break down Gianforte's "406 tax relief" plan; discuss the aim of Juneau's reservations tour; explain why it's hard to stop illegal robo-calls; and look at the new TV ad in the only contested state supreme court race, on this episode of "Campaign Beat."